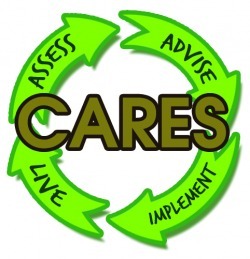 The Community Assessment of Renewable Energy and Sustainability (CARES)is an engineering and sustainability assessment organization founded by students at the University of California, Berkeley and it includes participants from residential communities, industry, academia, and government. Our research shows that living sustainably, having access to accurate environmental data, and having implementable solutions are of major concerns to consumers. Furthermore, it shows that people would be more eager to adopt a sustainable lifestyle if they are able to collaborate, share and work together with others.